Rabbit anti human RBBP4 antibody recognizes the histone-binding protein RBBP4, also known as RbAp48, CAF-1 subunit C, CAF-I 48 kDa subunit, CAF-I p48, MSI1 protein homolog, or retinoblastoma-binding protein p48. 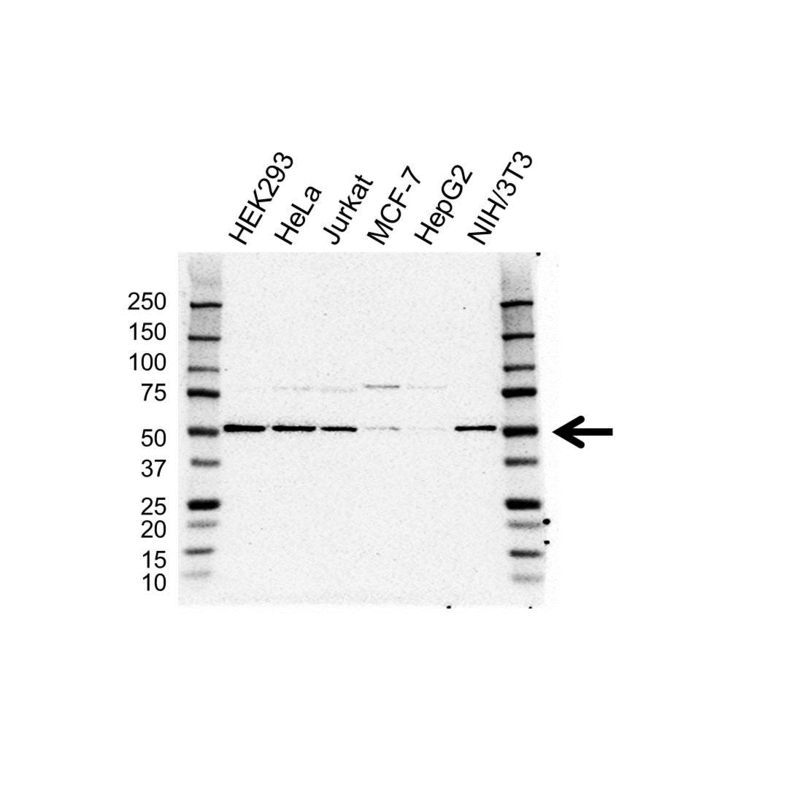 This antibody has been extensively validated for western blotting. Rabbit anti Human RBBP4 antibody recognizes RBBP4, also known as RbAp48, CAF-1 subunit C, CAF-I 48 kDa subunit, chromatin assembly factor 1 subunit C, nucleosome-remodeling factor subunit RBAP48, retinoblastoma-binding protein 4 and retinoblastoma-binding protein p48. The RBBP4 gene encodes a ubiquitously expressed nuclear protein which belongs to a highly conserved subfamily of WD-repeat proteins. It is present in protein complexes involved in histone acetylation and chromatin assembly. It is part of the Mi-2 complex which has been implicated in chromatin remodeling and transcriptional repression associated with histone deacetylation. This encoded protein is also part of co-repressor complexes, which is an integral component of transcriptional silencing. It is found among several cellular proteins that bind directly to retinoblastoma protein to regulate cell proliferation. This protein also seems to be involved in transcriptional repression of E2F-responsive genes. Three transcript variants encoding different isoforms have been found for RBBP4 (provided by RefSeq, Sep 2008). Rabbit anti Human RBBP4 antibody detects a band of 52 kDa. The antibody has been extensively validated for western blotting using whole cell lysates.